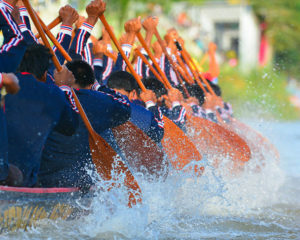 The way many organizations build, task, and mobilize their teams almost always sets the team up for struggle and perhaps even failure. Organizations that understand team performance, however, know that if you want teams to deliver results, what happens on the front end of the team and throughout the team life cycle to build and maintain cohesiveness is critically linked to what the team delivers. We have worked with enough teams in a variety of organizations to know what sets teams up for success and what factors set teams up for friction, conflict, mistrust, and ultimate failure. What makes the difference? Teams that take the time to address the factors that contribute to a cohesive team at the beginning of their team formation process are the teams that deliver! Using Lencioni’s team-building model called The Five Behaviors of a Cohesive Team™, we work with teams that are beginning the team formation process which have been intact for at least eight weeks. We also work with teams who, though they have worked together for a number of months, have become bogged down by internal delay, politics, mistrust, and conflict. Our team process addresses five behaviors that must be present if a team is to perform at its highest level. The Five Behaviors of a Cohesive Team™ process requires a commitment from every team member, especially those who are leading and managing the team. We work with our clients to diagnose the existing dynamics and issues the team is experiencing. We also collaborate to define the goals and outcomes which the team, and the larger organization, are looking for as a result of the training. This process takes place over two and a half days, ideally facilitated at an offsite location, and allows the team to focus on and address obstructions as well as develop strategies around next steps that move the conversation into action steps that produce measurable progress. We also encourage teams to participate in a six-month, follow-up Five Behaviors Progress Report to determine which behaviors are showing improvement and where additional energy will need to be applied.